Navigating Houston traffic during rush hour is brutal! Several years back, I planned to leave the office at 2 o’clock in the afternoon; but being in the safety profession, you can count on your plans being altered. If you’ve ever watched the series Midsomer Murders (I think it’s on Netflix), you’re likely familiar with the character DCI Tom Barnaby. DCI Barnaby is always late, has to leave early or never shows up because a murder has occurred and he needs to investigate. That day I felt like DCI Barnaby. Leaving as I had planned didn’t happen; I rushed out at 5:30, and hit the infamous Houston traffic. I finally arrived and checked into my “bunkhouse,” a room that I had to share with 30 other men. As you can imagine, sleep was going to come easy! I was at a church retreat and looking forward to hearing the opening speaker, a man named Gayle Erwin. Gayle was a wonderful man of God and was one of the funniest, most influential people I have met in the realm of leadership. He began his talk with a story quick story. His subject that night was on servant leadership. His talk was hilarious, but it hit me hard. In that season of life, my wife and I were over Children’s Church reflected upon his message and became concerned about how we overlooked the beauty of serving others is. I started thinking about those who lead at work. Is leadership any different in the workplace, the church or the military? I don’t think so. Leadership is about serving others. Some people who aspire to be prominent leaders deem trivial work as merely paying their dues. Dues that will eventually land them a leadership role, where they can wash their hands clean of work considered “beneath” them. We often forget that a leader’s purpose is to develop other leaders. As leaders, we must open ourselves up to serve others. To gain respect and trust, a leader must be willing to roll up their sleeves and get dirty. A couple of years ago, I worked for a CEO who had an entirely different perspective on leadership. The thought of riding with a mechanic to a field location or spending time on the manufacturing floor to observe challenges and get to know the workforce NEVER entered his mind. He was a guy that spent time on his yacht, barking orders. I remember a particular day when we were visiting one of our manufacturing locations in the Texas panhandle; after arrival, we noticed several employees picking up paper that had been blown from a trash container and littered the front lawn. Two other Vice Presidents and I began picking up the trash alongside our coworkers. When I looked up, the CEO was standing at the front door watching us work. The term servant leadership was not in his vocabulary. He would always tell me that leaders are to lead, not to do. His thought process was wrong. Leaders influence others by serving them. Leaders know that an employee’s work is essential. Some people, like my former CEO, are put in a leadership role because of whom they know or the money they have. Great leaders are the ones who ser others! These are people are as content picking trash or running a board meeting. They take as much pride hosing down a sidewalk as conducting a shareholder call. Nothing is beneath their dignity if it makes the life of another better. I remember watching a CEO from a company where one of their plants had blown up and caught fire. I watched him serve food and drinks to the first responders and support staff. This individual stayed out with the first responders and support staff for almost 24 hours! He would consistently walk the area and tell people how much he appreciated their commitment and hard work. It blew me away. As leaders, we are in a position to serve others. It’s crucial we keep our focus on others. If we don’t, leadership can destroy our performance. When we become focused on performance, we begin looking for accolades and lose our focus on what leadership is all about. One must remember our role as leaders is to serve others by helping them succeed. It’s crucial we recognize this because a lack of visible gratitude from others can mess with our heads and our hearts. While appreciation is ok, both to give and to receive; the leader must never aim for it. It’s nice to be appreciated by people, but our leadership cannot be tied to it. We need to maintain our identity as servants of others. Think of it this way; our work will either be a performance or an act of service. Service flows from the knowledge that we ARE appreciated, and our work is known. Performance is work done merely to gain attention and kudos. Denis is a former VP of Safety, HR and Risk Management He is an Executive Director of the John Maxwell Group, is a certified leadership coach, trainer, keynote speaker, and DISC Behavior Consultant. He is a passionate person of influence committed to teaching and communicating practical and relevant influencing techniques. His unique passionate and emotionally driven style resonates with many, creating a desire to become an effective leader. 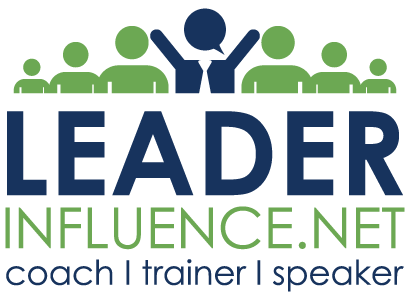 You can contact Denis at dbaker@leaderinfluence.net for information on coaching, leadership, team and culture change training, DISC Behavioral consulting or to be an inspirational speaker at your next event.